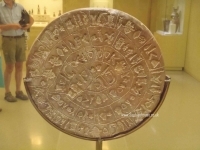 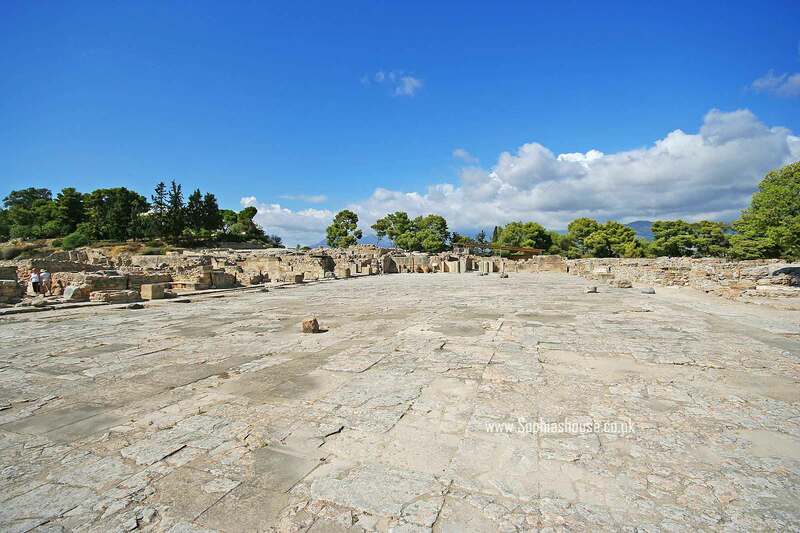 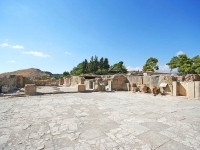 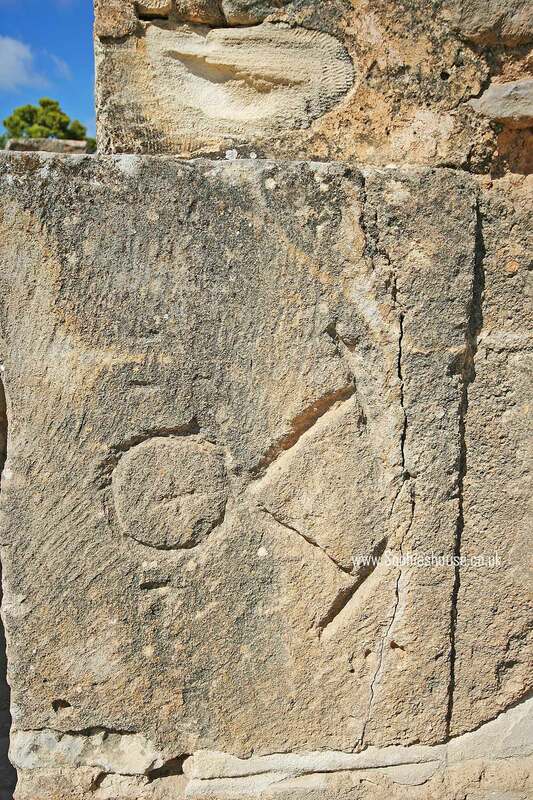 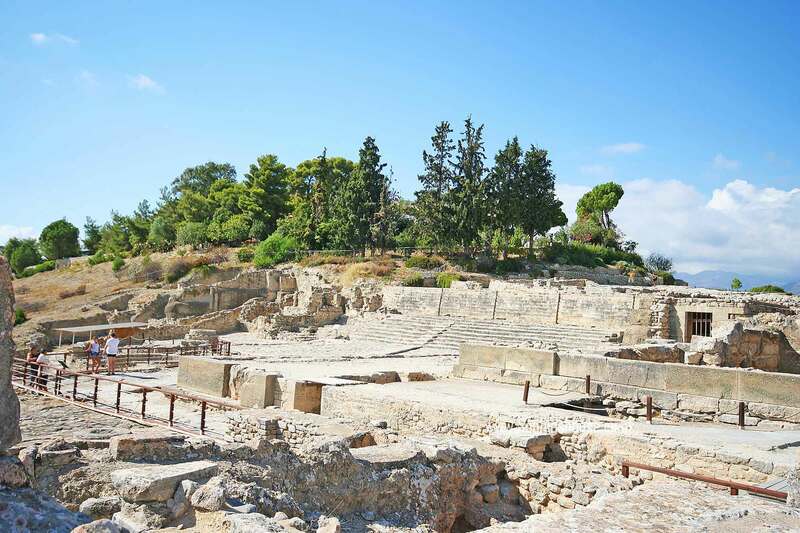 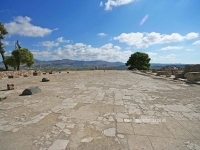 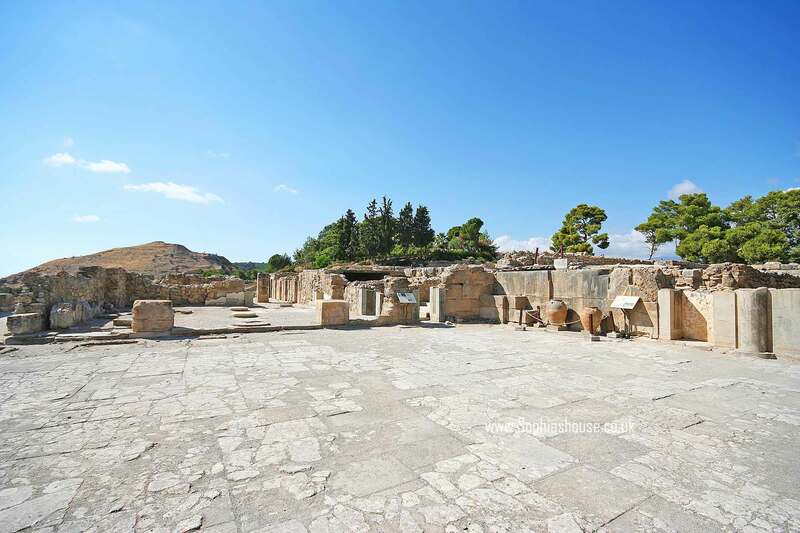 This mysterious place is the second largest palace of Crete, and was home to the famous Phaistos disc which to date is still to be ciphered. 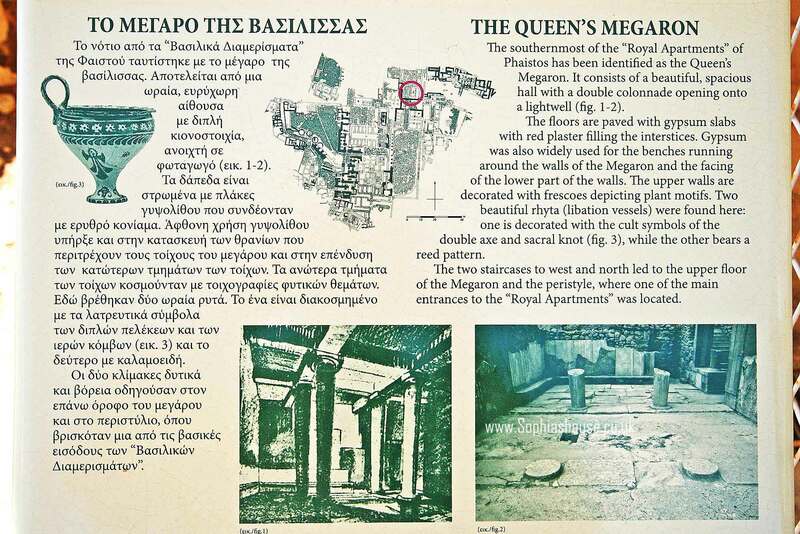 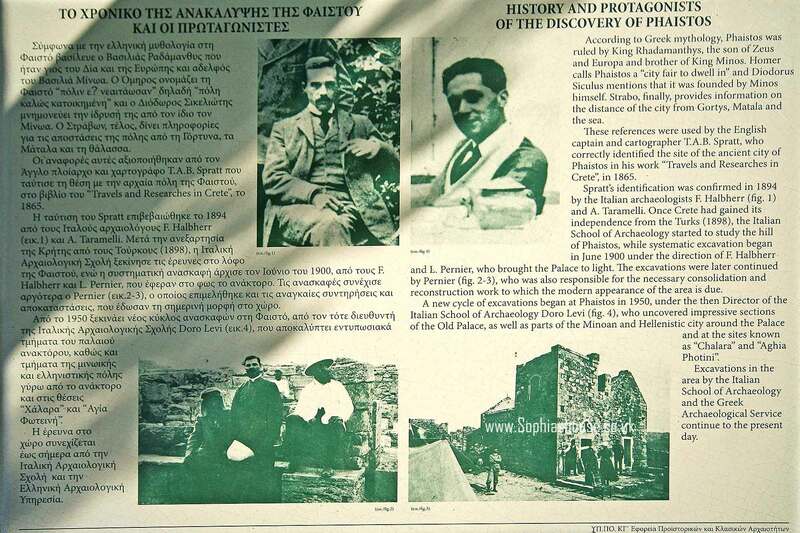 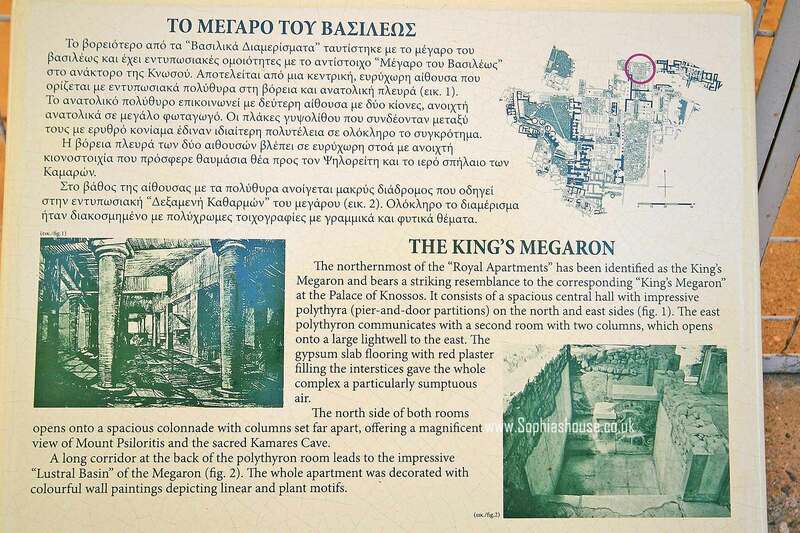 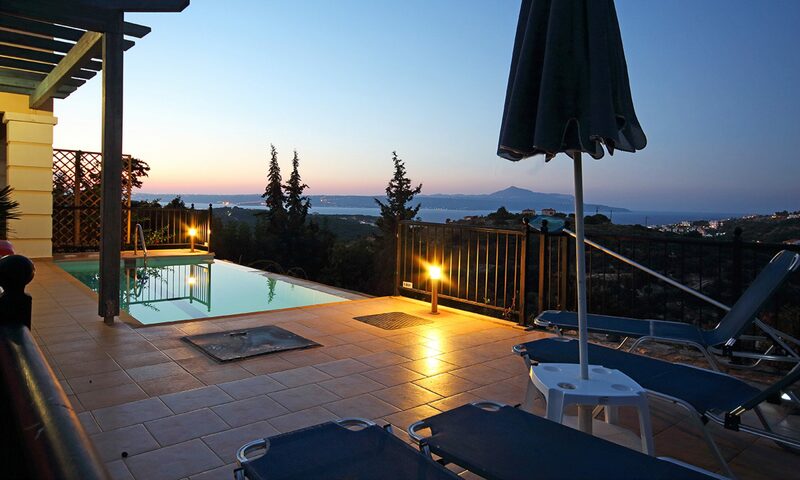 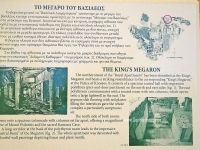 The palace is built at the top of a rocky hill, overlooking the Messara plain and Aasterousia Mountains in the south, and to the east are the Lasithi Mountains. 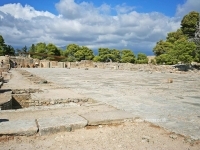 If you look westward from Phaistos you will see the Messara gulf, to the north are the Psilitoris Mountains, with their highest peak, Mount Ida. 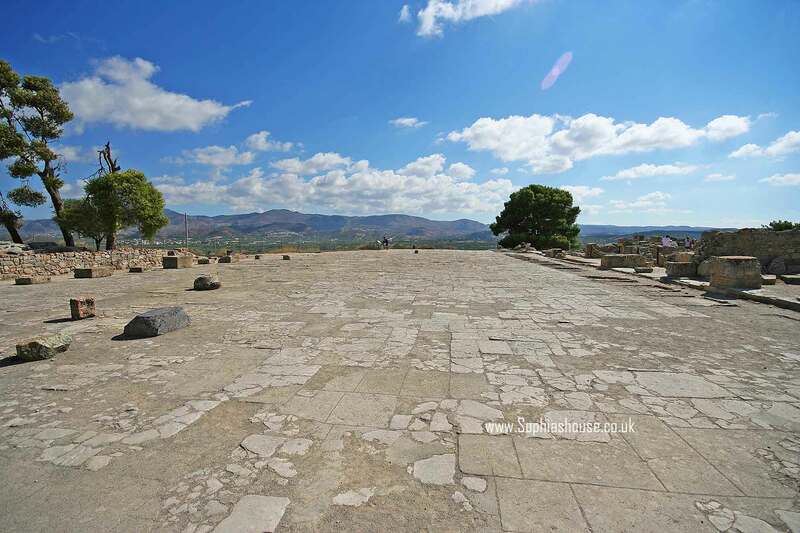 In whatever direction you look from the Phaistos site, you will be rewarded with spectacular views. 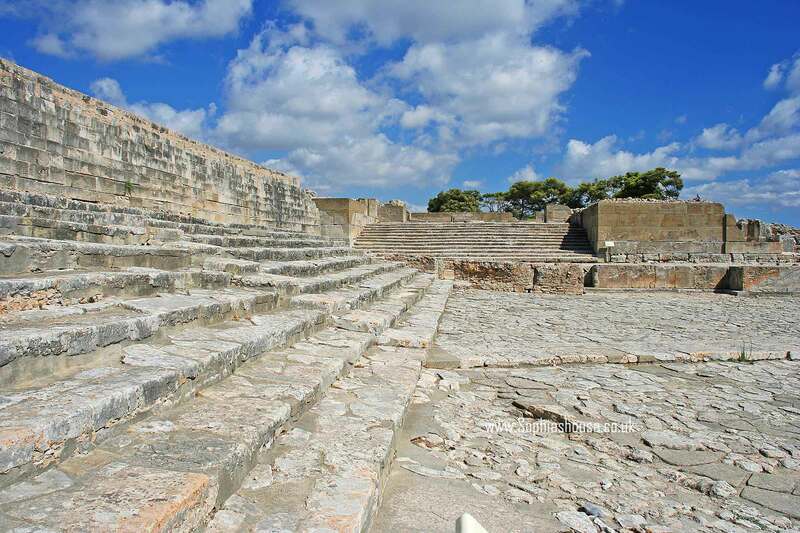 The palace buildings are probably the most beautiful of all the palaces on Crete built by the Minoans. 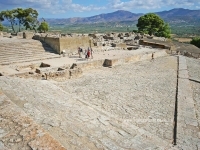 The ruins at Phaistos span through the Minoan eras, exploring among the ruins you discover some parts from the Neo-palatial and the Proto-Palatial periods. 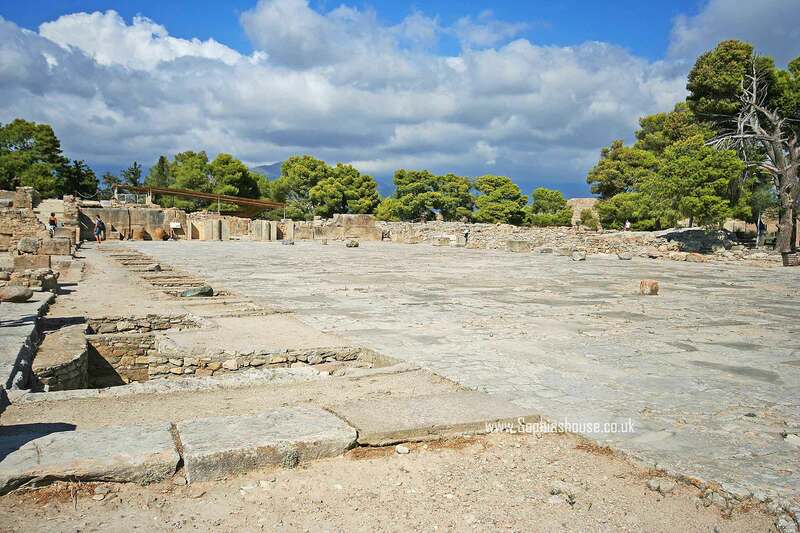 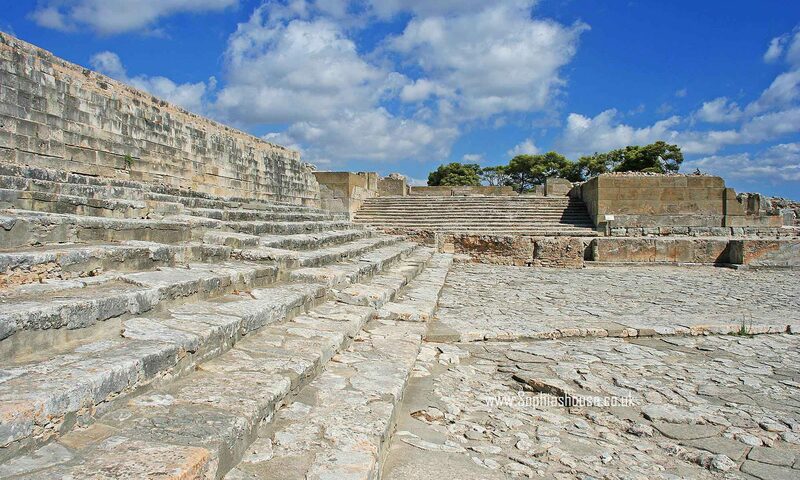 Like every Minoan palace, Phaistos has a main court. 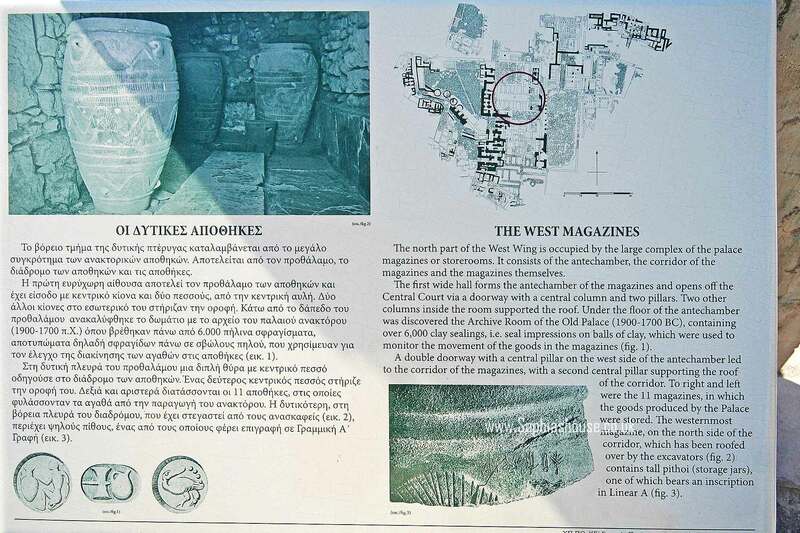 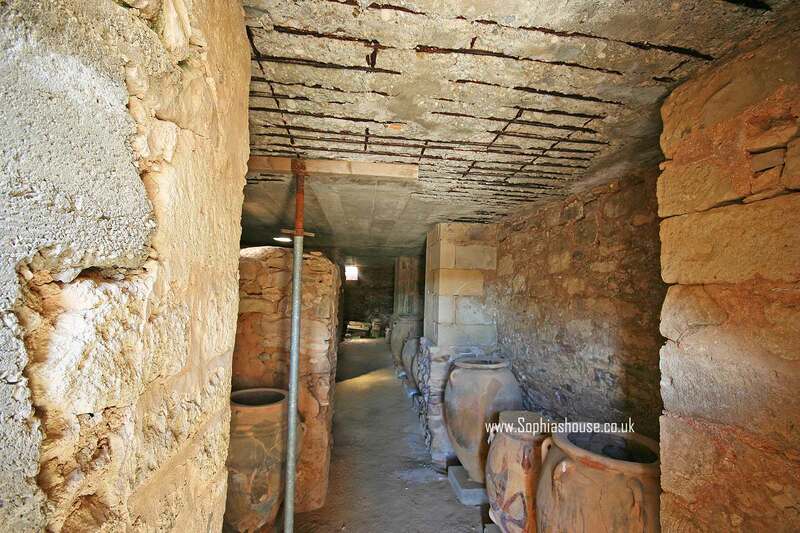 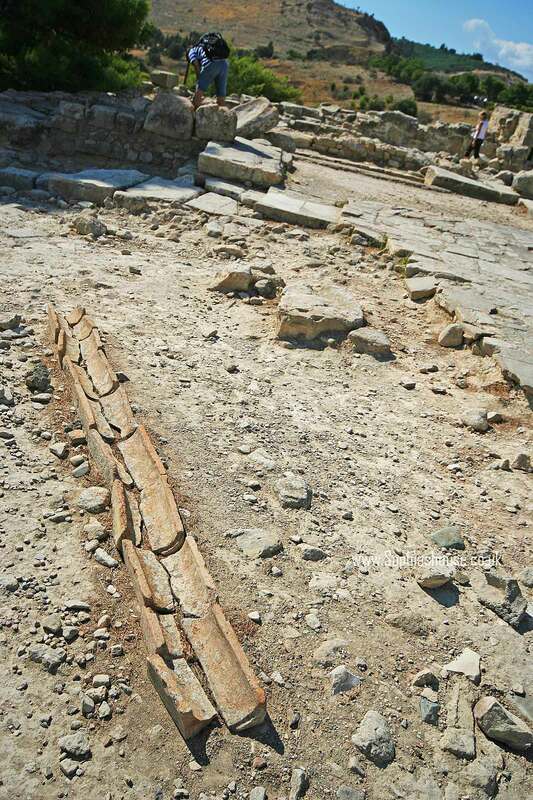 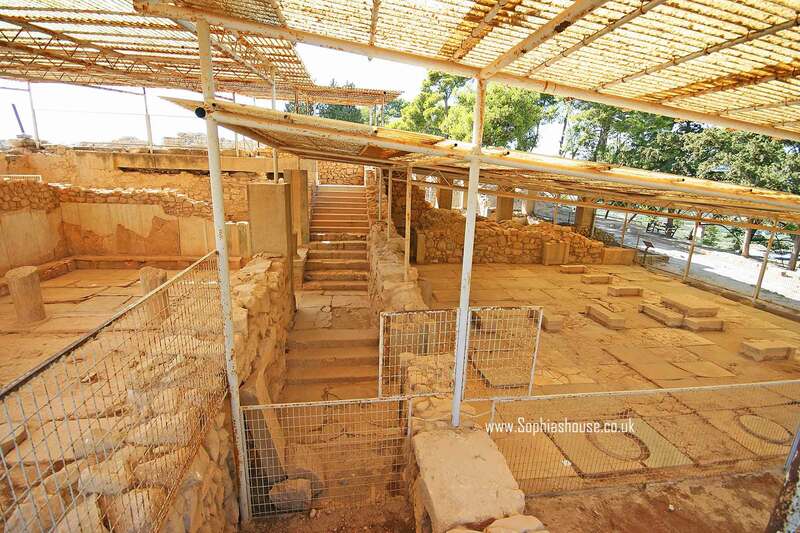 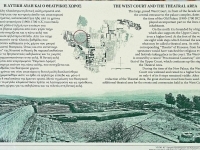 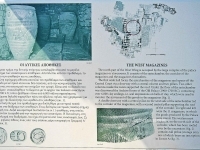 But the west court is different to other Minoan sites found on Crete. 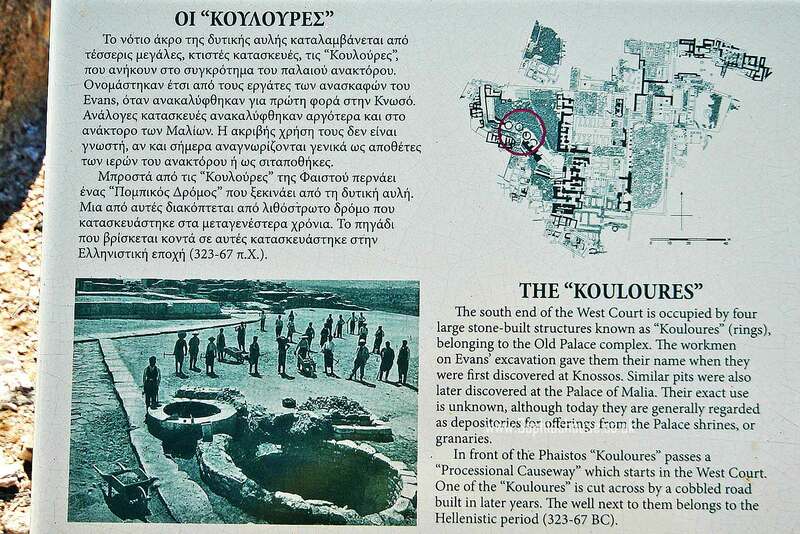 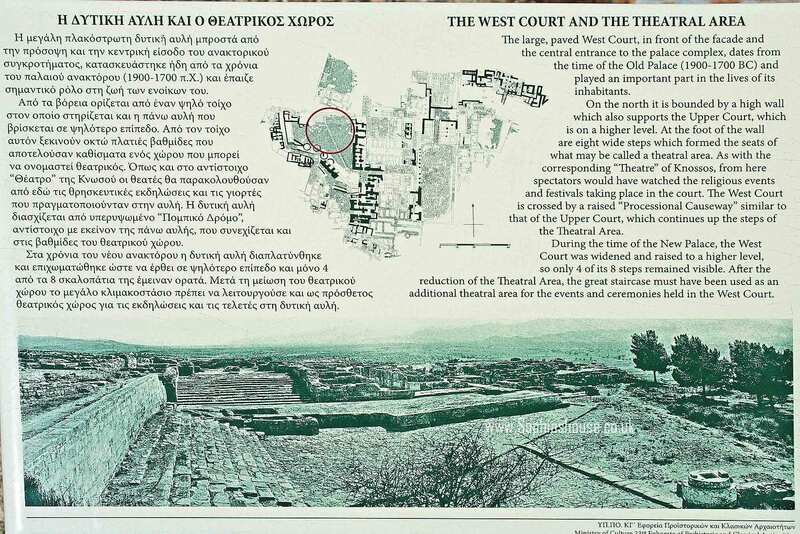 This is one of the most impressive features of Phaistos; the court is formed into triangular shape and is framed to the north and southwest by the imposing theatrical area, and the mysterious Koulouris. 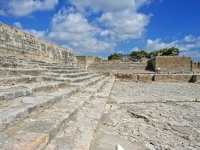 Two main staircases, one grander than the other converge on the North end of the West court to complement with their presence the extended step-like design of the theatrical area. 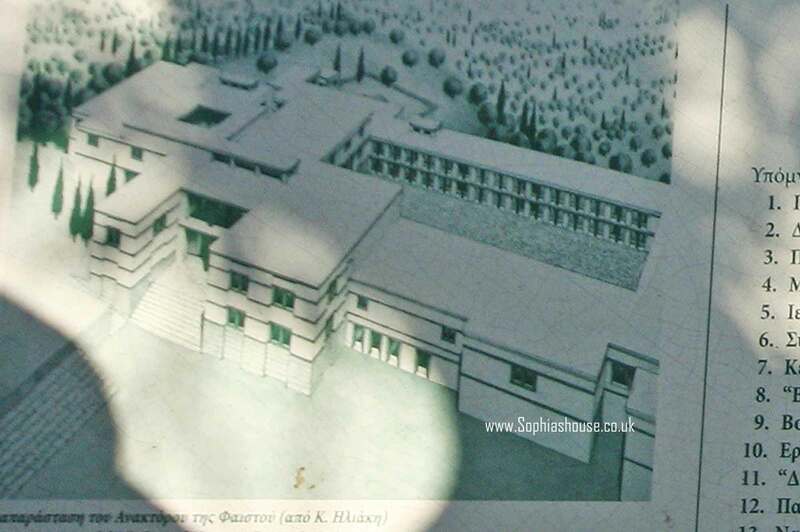 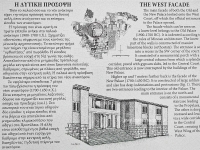 The architecture of Phaistos is much simpler than that of Knossos. 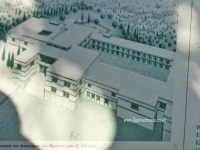 It is easy for the visitor to decipher the ground plan and outlines of the buildings. 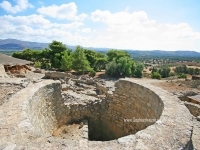 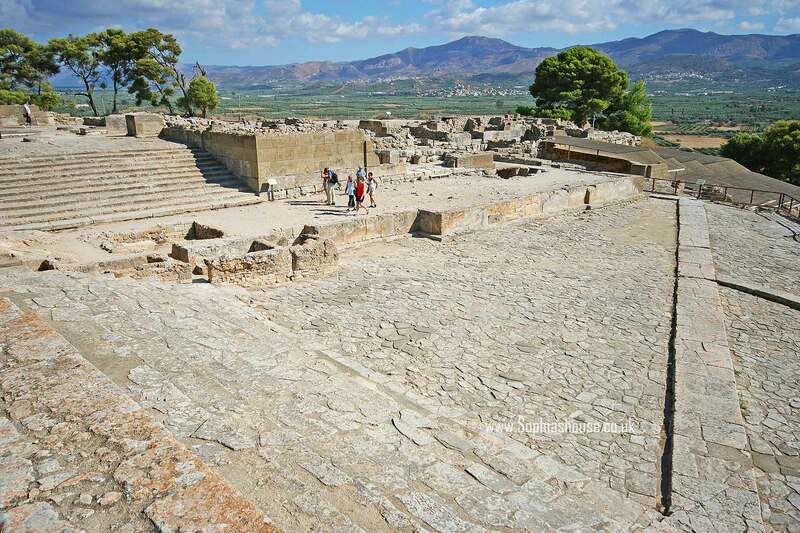 Deeper study of the site uncovers a complex site with changes due to demolition and re-building of the site over hundreds of years, making Phaistos a fabulous site with an assortment of old and new palace structures for you to explore. 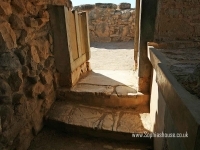 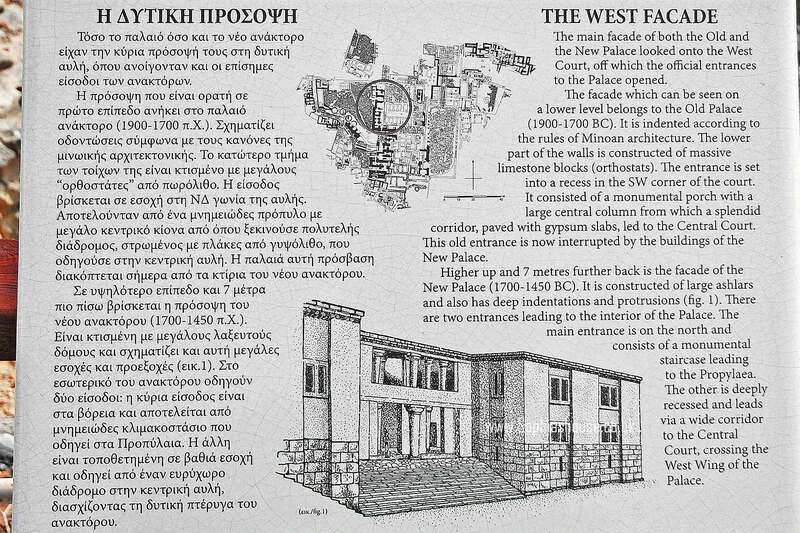 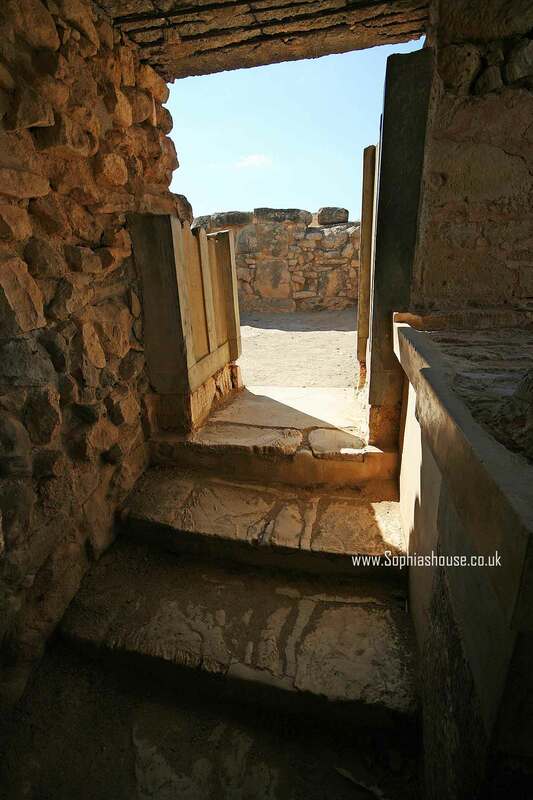 In 1700 BC, during a re-build of the palace some of the old palace rooms were worked into the design of the new palace. 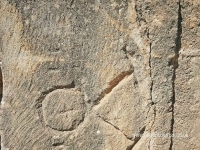 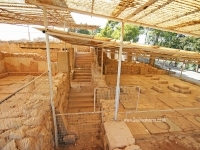 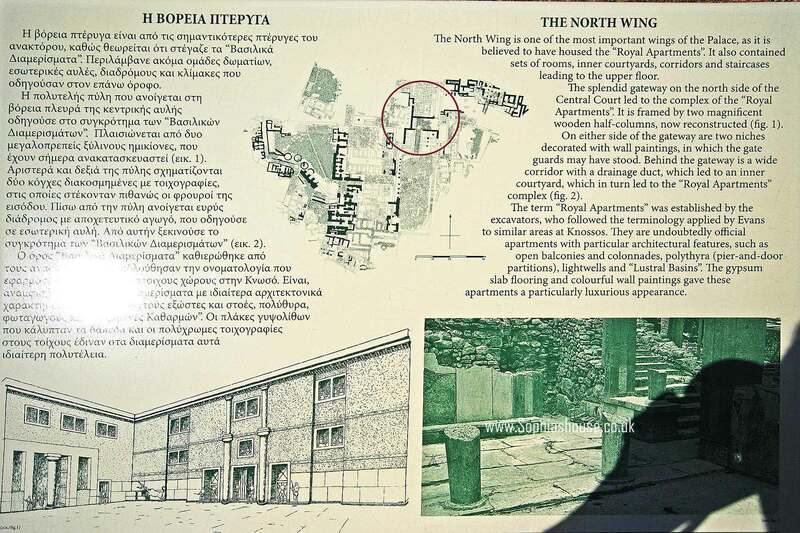 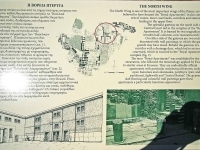 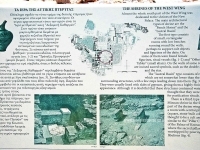 This can be clearly seen at the site thanks to the archeological excavations. 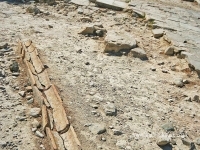 The west courtyard pavement and the bottom of a staircase were only buried one metre deep, when the new palace was built; these have been exposed during recent excavations. 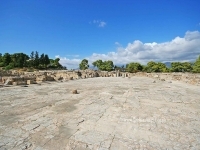 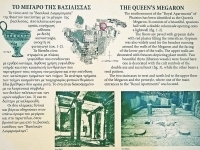 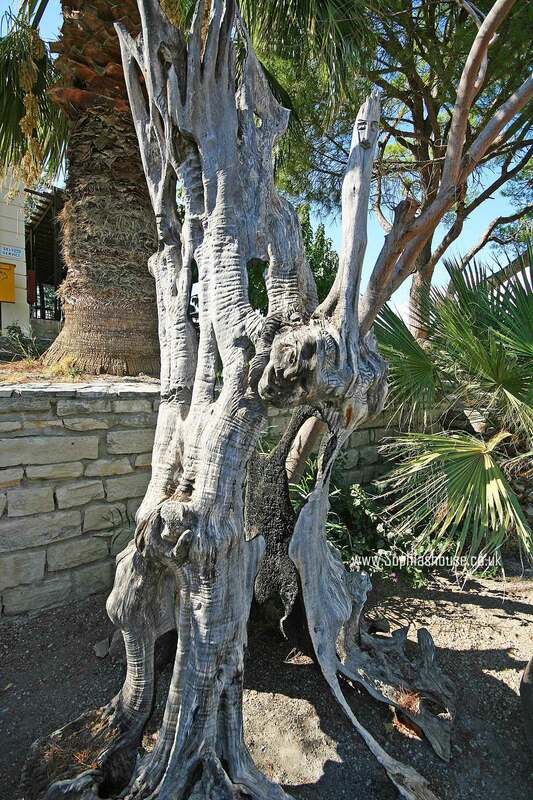 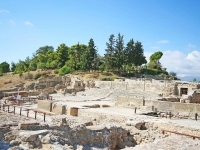 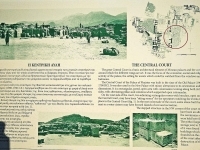 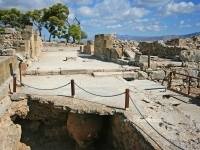 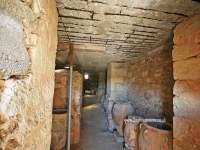 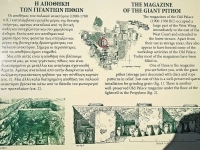 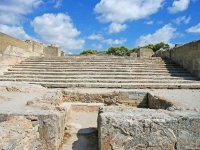 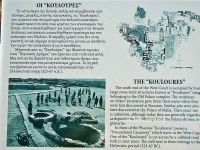 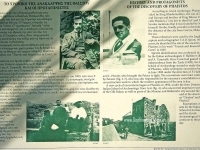 The location of the site is about one hours drive south of the islands capital Heraklion. 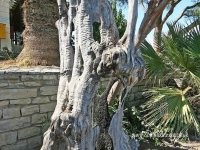 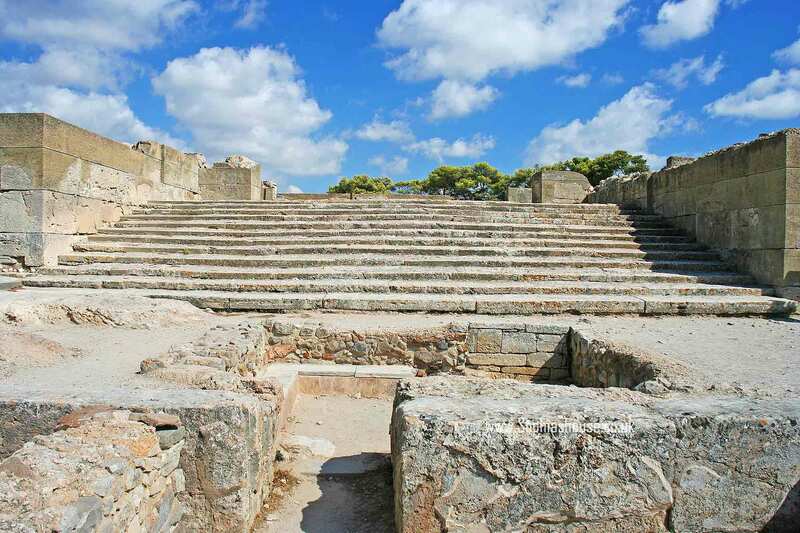 It is within easy access of Matala and its famous beach; you could also visit Gortyn, the old Roman capital. 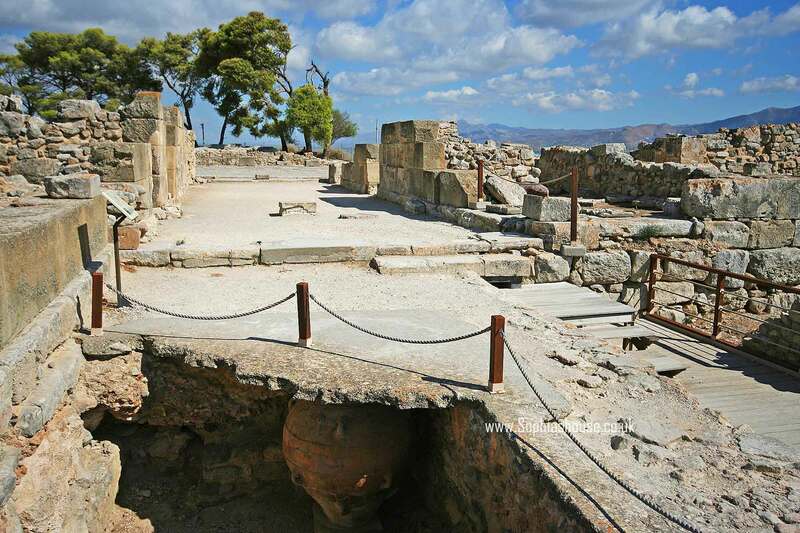 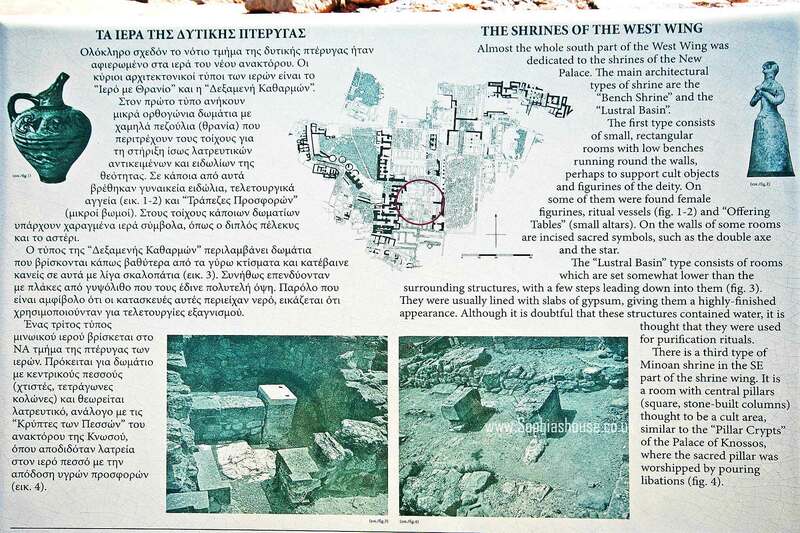 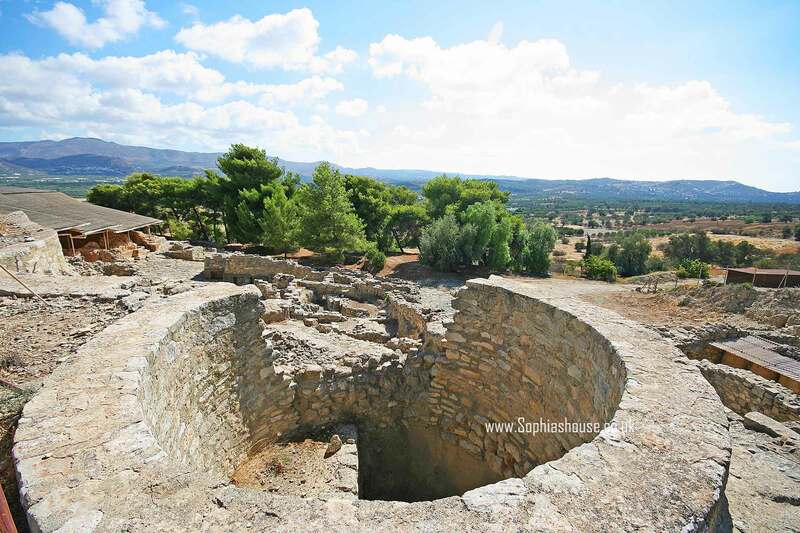 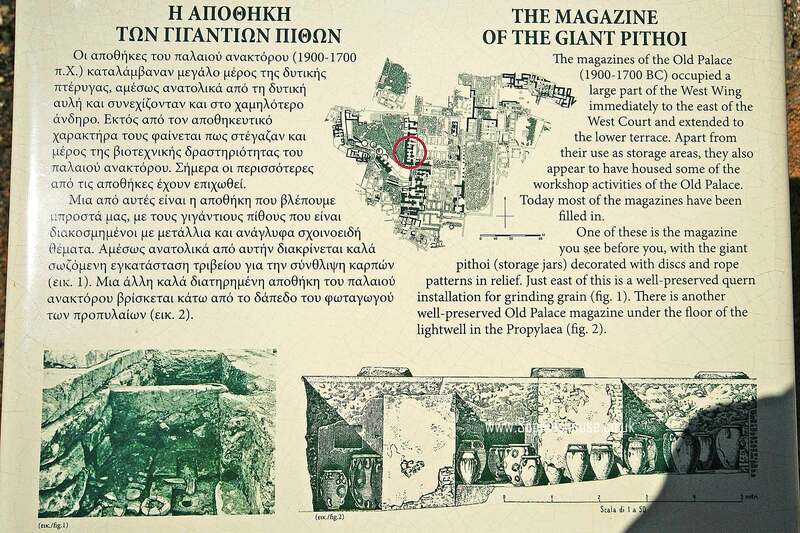 When you visit Phaistos, try and allow around two hours to tour the ruins properly. 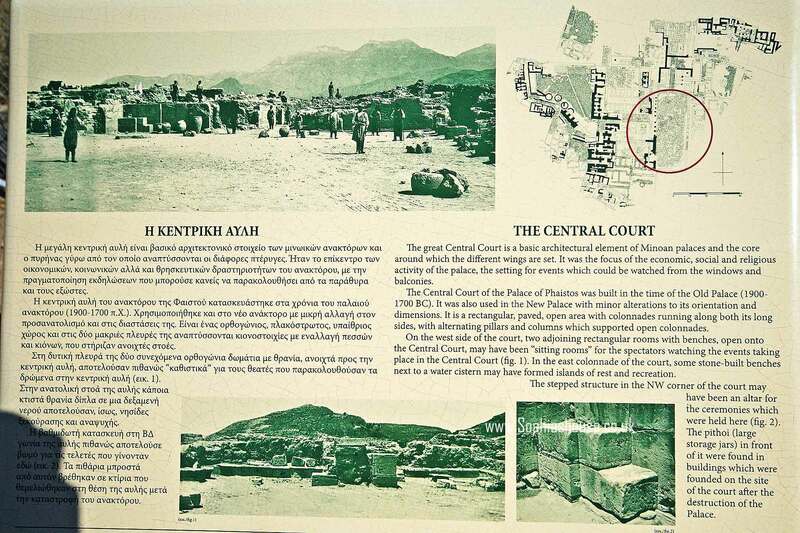 Take note of the west court, the raised walkways split the court at the centre. 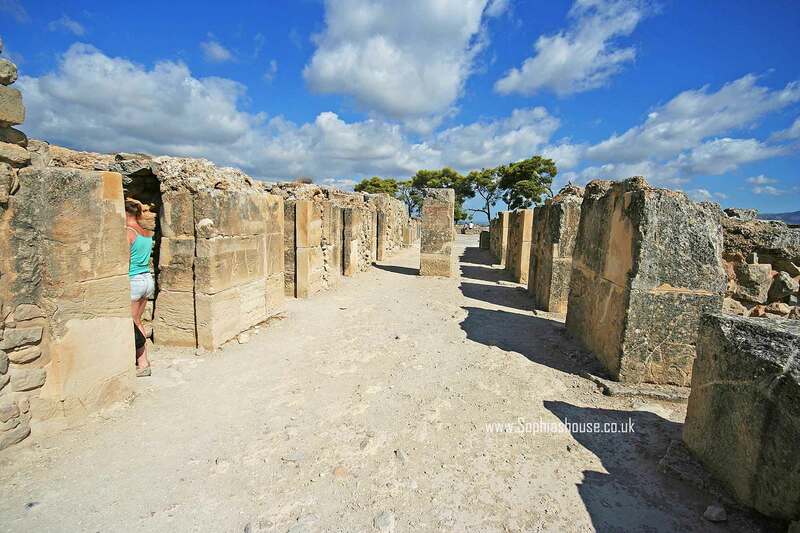 It is quite easy to walk the site, make the most of the pine trees scattered at regular intervals through the site as they provide welcomed relief from the hot sun, because as the August sun begins to rise over the site, the temperatures can climb to about 45° C, so remember to take enough of water with you and don’t forget your sun cream.